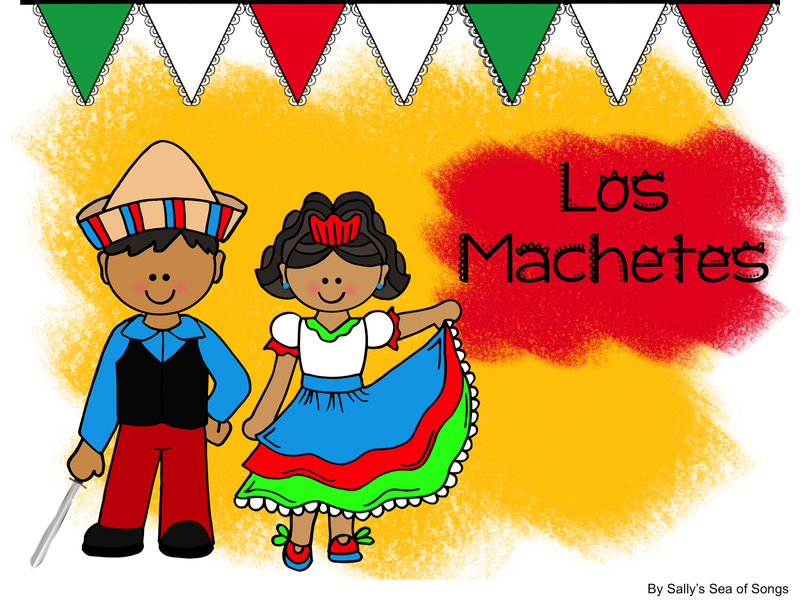 Sally's Sea of Songs: Los Machetes - Folk Dance Fun! One of my strategies for surviving the last month of school is to get kids moving! 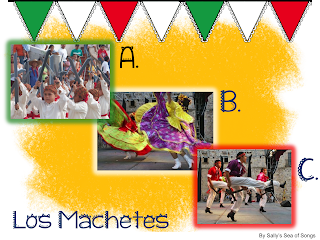 The popularity of Cinco de Mayo in recent years gives me a great excuse (as if I needed one!) to teach Los Machetes, a folk dance from the Jalisco region of Mexico. 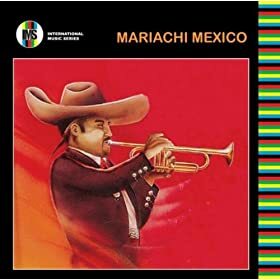 The music that I use is Los Machetes from the album Mariachi Mexico by Los Toritos. It can be found in the iTunes Store here, and on Amazon here. Jalisco is traditionally known for its Mariachi orchestra. A modern Mariachi band will include violins, trumpets, guitars, a vihuela, and a guitarron. Lyrics, for the most part, are humorous and not to be taken seriously. 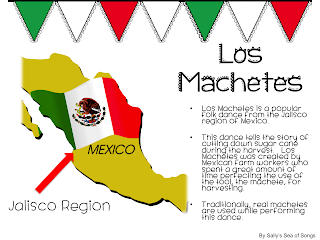 The Mariachi orchestra plays the music for the of work dance, Los Machetes. Men usually wear a Mexican cowboy or charro outfit, which are black or brown suits with tight fitting trousers trimmed down the sides with a double row of gold or silver buttons called plata. A white shirt and rebozo, a hanging, folded tie, is also worn. A large hat or sombrero completes the outfit. Mariachi musicians have made this outfit famous. Women wear light and colorful outfits, typically with many ribbons and beautiful lace sewn onto the arms, bodice and hem of the skirt. It is an ornate adaptation of dresses typically worn during the 18th century. It is made so that the skirt will lift up to show a colorful petticoat underneath when dancing. The dance must be a true folk dance because the directions vary from source to source! Most of the dance directions credited below call for partners in a double circle formation. They didn't sound that complicated, but I knew my students weren't ready for a partner dance, and their end of year exuberance would be a little hard to contain. I decided to teach a different movement for each of the 3 sections of the music. My simplified version of the dance directions are a combination of what read and what I saw in the videos above. General Teaching Plan: I teach the movements while they are SITTING in their spots. Yeah, my students are pretty wild at this time of year. Then we stand, and do the movements in our places while chanting the steady beat counts. Add the music at this point, kids are smiling & counting, and delighted that their claps match up with the patterns in the music. Some classes will not go farther than this, and that's OK! They are up, moving, keeping a steady beat, listening to world music, matching movements to that music, identifying form through movement, and identifying instruments that they recognize aurally. 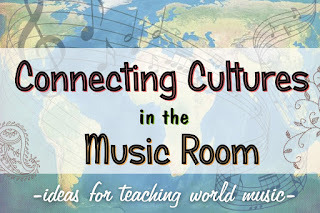 There are many musical elements that a good teacher can assess right there. And they want to do it again! The next step is to move into a single circle formation and practice each move without bumping in to one another. Add the music and enjoy! Specific Movement Directions: For safety and simplicity, we turn our forearms & hands into our machetes. Here is a graphic to display during the lesson. Sometimes a picture is worth a thousand words! 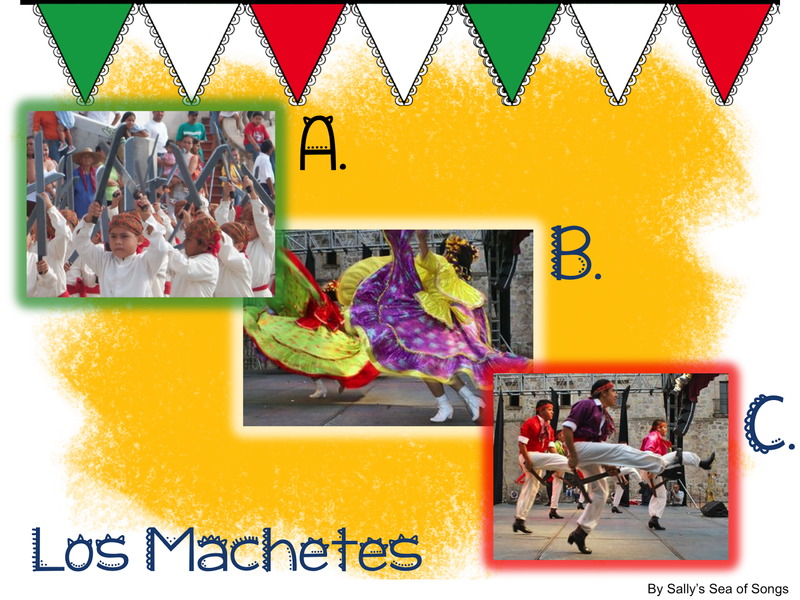 Clap hands (machetes) overhead and walk 15 steps in one direction around the circle, turn. continue clapping and walk 15 steps back to place, turn to center of circle. Place one hand (machete) across waist as if you were going to take a bow. Point the other hand (machete) at the GROUND. Turn in a stationary, slow motion circle for 6 counts, return to original position and clap 3 times, cha-cha-cha. Switch hands and directions and repeat. The teaching chant sounds like this: Circle-2-3-4-5-6, cha-cha-cha, Switch-2-3-4-5-6, cha-cha-cha. These circles are done 4 times for a total of 32 counts. Always keep the one hand (machete) pointing at the ground. This is an important direction if kids have seen either of the videos. The girls in the videos spin in circles, holding their skirts out wide and it looks beautiful. My music room isn't big enough for everyone to hold their hands out wide like the girls. We have to dance like the men with the machetes and point them at the ground! Now comes the fun part! The teaching chant sounds like this: over, under, over, under, front, back, cha-cha-cha. Clap hands together, kick one leg and clap under, clap together, kick other leg and clap under, clap together in front, clap in back, clap cha-cha-cha. Do this pattern 4 times, then repeat from the beginning. The overall form of the music that is linked at the beginning of this post is ABCABCA. 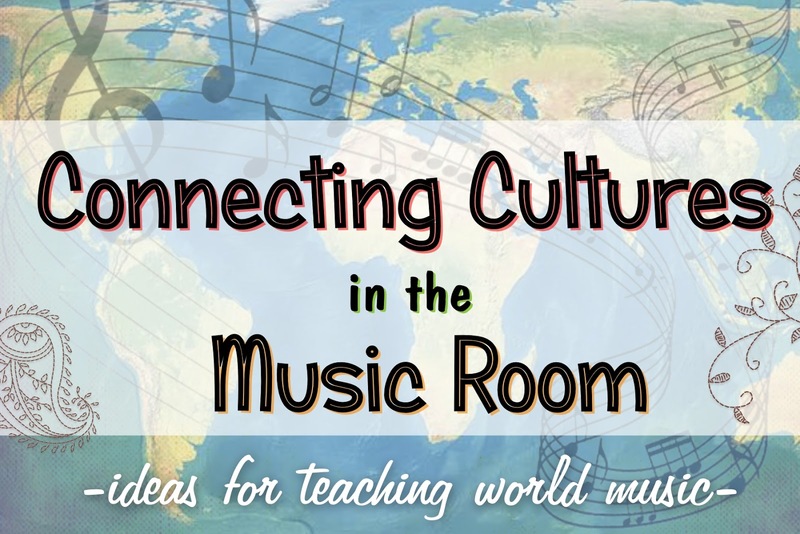 Teaching folk dance is a great way to get students moving, listening to the music, and working together. It can also be a great stress relief following all of this testing that is going on in the spring. 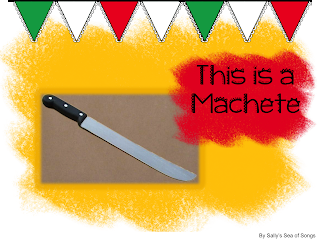 I hope you and your students will enjoy trying out Los Machetes. Let me know how it goes in the comments! This is such a fun resource. I love how you've broken it down and made it so easy for me to use! Thank you!